The Company was founded by Oleksandr Lutskevych a Ukrainian national, and it was established in YR2013 on June at London, United Kingdom. It was the first cloud mining provider, CEX.IO has become a multi-functional crypto-currency exchange that supports bank transfers and credit card deposit/withdrawals. In early YR2016, The Company shifted their focus on exchange/ trading Bitcoin and Ethereum, as well as simple buy/sell methods. In the same year, their cloud mining services were stopped and added Ethereum into their platform. The fees will vary depending on whether you use their exchange or easy buy/sell methods. If you’re trading on the exchange, you will most probably charge at most just 0.2%. While using their easy buy/sell methods, they will charge you a 7% fees. Additionally, they also applied charges fees for deposit and withdrawals. A roughly 3.5% fees will be charged when depositing using a credit card, but free if your using bank transfers. While withdrawing charge you at most $3.8 + 1.2% fees when using credit cards and $50 for bank transfers. CEX.IO is holding a pretty good rank on their popularity in the Blockchain Technology. The position improved about 3.5K for just the last three Months until now (5th of March 2018). According to Alexa it currently holds the global rank of 3,204. Most of their traffic seems originated in the United States and India, but significant numbers also come from Turkey, Saudi Arabia, and France. Fees: The platform accepts both deposits and withdrawals in fiat currencies. Deposits using MasterCard and Visa costs 3.5% in addition to $0.25 or 0.24 EUR in commissions. Credit card purchases are instantly processed once the card is verified. The exchange charges a premium to make sure that orders are fulfilled at the offered rate and with no exception, and it is also referred to as fill-or-kill orders. You can use bank or crypto capital transfers if you have verified your account and you do not incur any commission charges for deposits. The commission for withdrawal via Visa is a flat rate of $3.80 or 3.50 EUR and 12% of the withdrawal amount and $3.80 or 3.50 EUR for MasterCard. For verified accounts, you can use crypto-capital transfer with a commission of 2%. There is no withdrawal of funds in USD via bank transfers, but Euros is applicable and has a flat commission of 25 Euros. Verification and Account limits: CEX.io gives priority to the security of the platform, and it requires users to verify accounts as a security measure. Verification is a mandatory process for users that want to increase buying limits, selling limits, withdraw fiat using bank transfers or upgrade their basic accounts. The minimum purchase amount for Bitcoin is 0.01 BTC, and the maximum amount is 10 BTC. Basic account users can buy up to $500 worth of Ethereum or Bitcoin per day up and a maximum of $2000 per month. Basic account verification requires a copy of your official Government ID. Verified account holders can buy up to $10000 of Ethereum or Bitcoin per day up to a maximum of $100000 per month. The exchange requires an official Government ID as well as some certain personal information such as proof of residency. Verified Plus and corporate account holders have no limits on the amount of Ethereum or Bitcoin they can buy or sell. Security: CEX.io has employed several security measures to protect users fund including protection against DDoS attacks, two-factor authentication, full data encryption, and g, ogle authenticator. The platform suffered an incident in 2013 when it was hacked but the issue was resolved, and no other cases have been reported. The exchange also condemns and prevents scam users who have the potential to cause problems to both the platform and its users. Customer support: Customer support is not a strong point for many cryptocurrency exchanges, but CEX is generally well regarded. The CEX.io website provides detailed information about the exchange and is very helpful. The site offers structured tables, useful guides, and comprehensive information. It also provides customer support through email that is available 24/7 and FAQ. 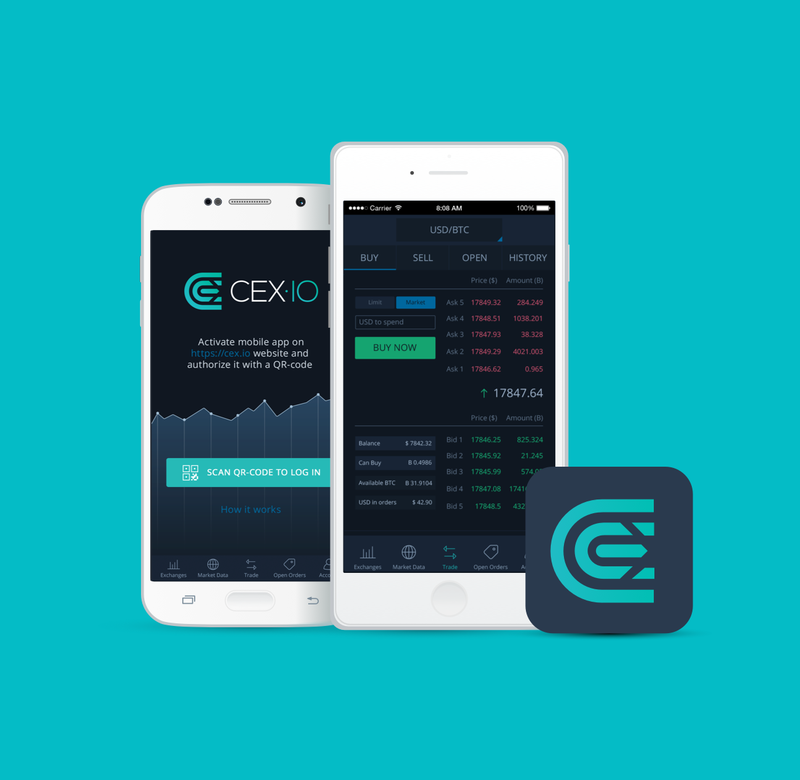 Cex.io works in brokerage mode. E.g., you can buy the bitcoins directly from cex.io as well as trading mode. You can also trade BTC/ETH against many other currency pairs. In the buying/selling mode uses “Fill-or-Kill (FOK) orders” to guarantee prices. FOK orders are executed immediately and in full or are not executed at all. In other words, Cex.io calculated and froze the price of the bitcoin for a certain amount of time (for about 120 seconds). At any given moment, you can input the amount of money you wish to spend for a certain amount of crypto-currency that you will about to receive once the transaction is completed. You can buy the bitcoin at the same price regardless of the changes of prices in bitcoin because the rate is recalculated every few times. After you confirm the trade, the order will match to other requests on the exchange, and your balance might be adjusted depending on the changes of the prices in bitcoin – sometimes the amount can be higher than on what’s agreed on, but is never smaller. Fixing prices might be useful in some cases, but it also not so useful in some cases. So, I considered it as neither good nor bad for both the traders and buyers. Cex.io is an exchange which generally receives some mixed reactions from the community. There is increased technology and competition. Therefore, the platform should make improvements to overcome its disadvantages. The platform overall has its upsides with good features and is very suitable for beginners.